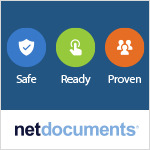 NetDocuments, the leading cloud-based document and email management (DMS) provider for law firms and corporate legal departments, announced today that the International Legal Technology Association (ILTA) approved NetDocuments in ILTA’s Strategic Vendor Relationship Program, appointing David Clark, IT Director at Kirton McConkie, as the relationship liaison between NetDocuments and ILTA. Tiger Eye are delighted to announce they have won the contract to support Memery Crystal LLP with their iManage software solution. Memery Crystal is a specialist international law firm based in Central London providing high quality commercial advice in a variety of sectors. iManage today announced the agenda for its second annual user conference, ConnectLive 2017, scheduled to take place in Chicago, May 24-25, 2017 at the Marriott Magnificent Mile. iManage, the leading provider of Work Product Management solutions, today published their latest case study about Italy's largest law firm Gianni Origoni Grippo. The firm has met rigorous standards around data security by using iManage Work for controlled access to document and emails. iManage, the leading provider of Work Product Management solutions, today announced that Baker Botts L.L.P. — an Am Law 50 international law firm that has been in operation for more than 176 years — has gone live on iManage Cloud. Lundgrens, the Denmark-based commercial law firm, has selected Ascertus Limited as its vendor of choice for support and maintenance of the iManage Work Product Management system, the next generation of email and document management systems. Now the largest dispersed law firm in the UK, access to content regardless of location or Internet access is increasingly critical to Keystone, in order for the business to continue delivering optimal service to its clients. 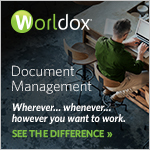 Transform Data International proudly announces that Custodian for Legal has been chosen by Boels Zanders Advocaten as its document, email and project management system. Boels Zanders Advocaten greatly values the adoption of IT by its employees, as this is the basis for continuous innovation and optimisation of the organisation and its processes. iManage, the leading provider of Work Product Management solutions, today announced that Peckar & Abramson, P.C. (P&A)—a firm of more than 100 attorneys long known for leadership and innovation in construction law—has selected iManage Work for its Work Product Management needs, including document and email management and collaboration.